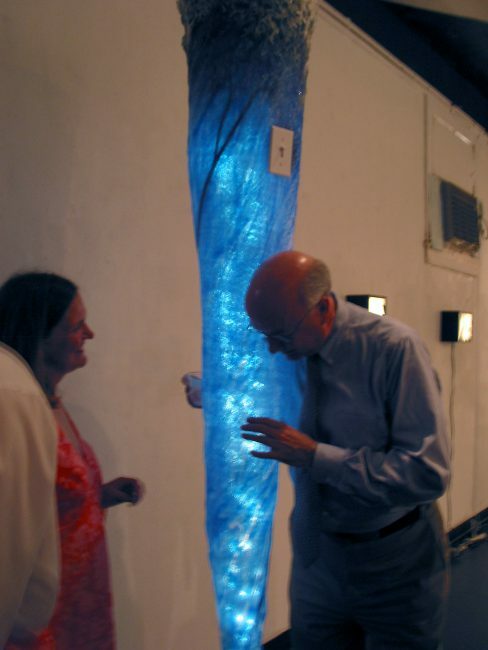 A pseudo-waterfall sculpture made of rubber, light, motion and the booming sound of a waterfall. It is inspired by the way in which Niagara Falls is manipulated and constructed to serve humans as both an industrial and natural spectacle. 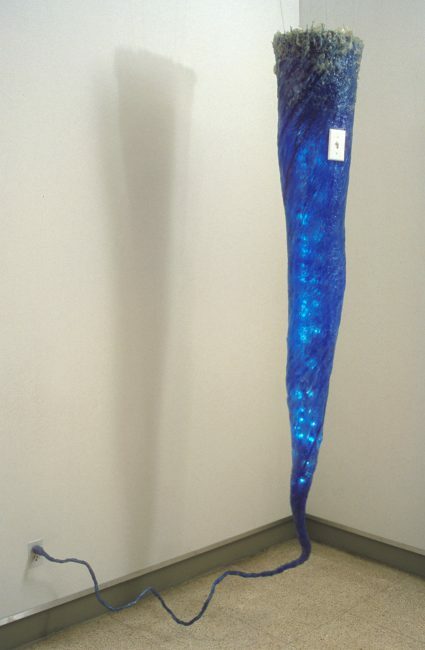 The activation of this sculpture resides in a light switch mounted on the front of the piece, giving the viewer control of this artificial nature experience. 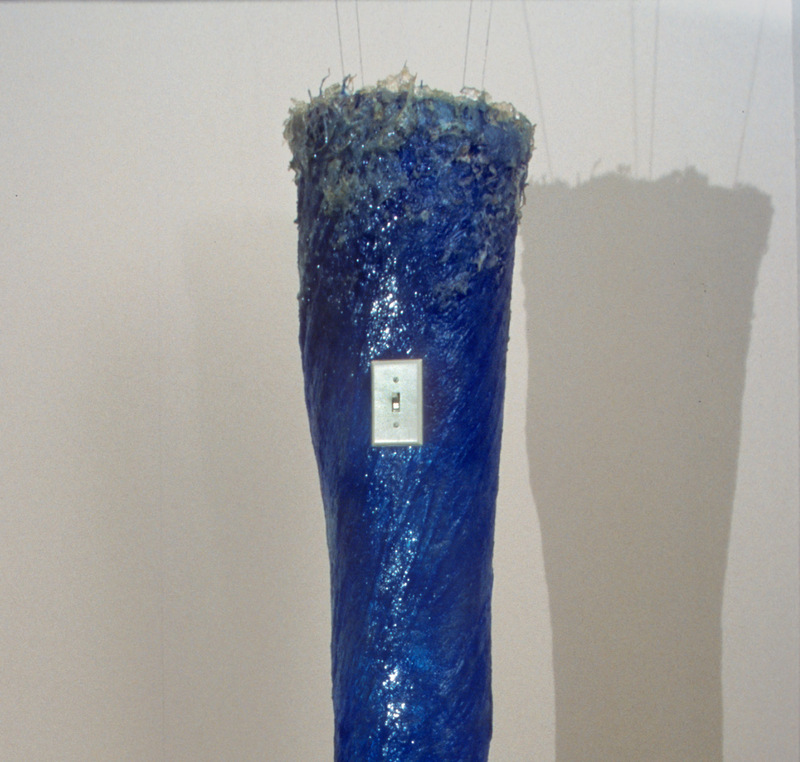 Another important feature of this sculpture is its full extension, all the way into the outlet it plugs into. Pointing directly at its source of electricity, it refers back to the natural processes (such as waterfalls) that are used to produce it. 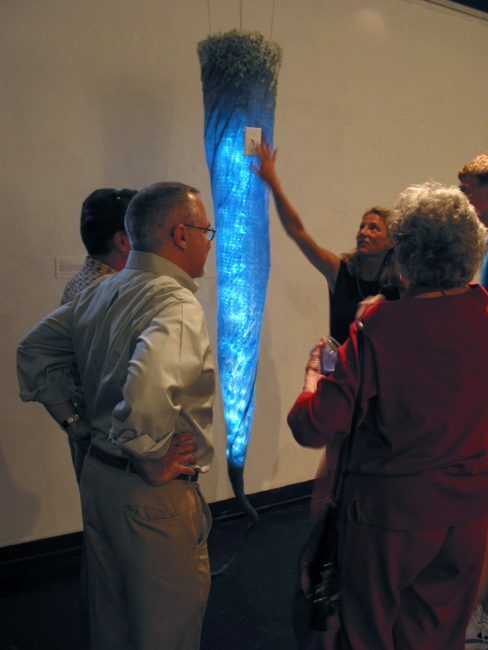 This sculpture inverts an outdoor waterfall power source into an indoor, controllable version. Materials Urethane rubber, lights, CD player, speakers, light switch, plastic and a motor.